Whilst patents and design rights are the forms of intellectual property most commonly deemed important inventors it is worthwhile understanding copyright, how it applies and how it can be of use. In the UK, copyright arises automatically when a creative work is expressed in a ‘fixed’ form — e.g. by being written down or saved to recordable media. You don’t have to apply for it or register it; neither do you have to use the © symbol, though there is no harm in doing so. This is generally used by people and companies wishing to emphasise the rights in a particular piece of work, and draw attention to who actually owns them (for example in cases where this is not the author). Copyright protects: text (in an inventor’s case, this may be a description of the product, a product specification, a business plan, instruction manual, and so on); illustrations (such as diagrams, circuit diagrams, logos, photographs or CAD drawings of a product); layouts of work (such as the layout of a website or brochure); recordings (such as an instructional or promotional video); and drama and music, which are generally less applicable to inventors. The ‘copy right’ was originally a publishers’ monopoly intended to control who could re-print copies of books, for a limited period following publication. As with patents, the state granted protection to the publisher for this period, in return for the work passing into the public domain at the end of it (and thus adding to the sum of human knowledge). When methods of reproducing books and other work were expensive and difficult, this generally worked well, but since modern technology has made faithful (or exact) copying not only trivial (e.g. photocopying) but also crucial to the functioning of all digital systems, much of copyright legislation became difficult to enforce — hence current controversies, especially in the music and movie industries. One reaction has been lobbying to increase the monopoly period — the UK period is now 70 years after the death of the author for most types of work. 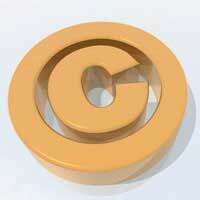 Since inventions themselves are not covered by copyright, inventors’ encounters with copyright are often through problems arising in dealings with others. The main principle to be aware of here is that work done directly for an employer is generally automatically the copyright of the employer, rather than the author, so if you employ somebody to do some work, you will own the copyright on what that person has done. However, many freelance graphic and web designers will have underlying templates which they use again for different clients: this template would usually remain their copyright, but the content (overlying layout, text, graphics) would be your copyright if you employed them to create brochures or websites for your invention. This is a tricky area, and the best thing is to reach an agreement before contracting someone to do the work, over exactly who will own the copyrights to each aspect. If you later need to revise your website, but retain the existing template, you want to be able to do it without the original designer having a say over it. Photographs, too, can cause problems for inventors if stock images are used (again, mainly in brochures or websites), since even if the copyright holder never takes action against you, it looks unprofessional to use images which are obviously sourced this way. Do not simply copy indiscriminately off the internet — either buy stock images with a copyright licence, or, better still, make use of the Creative Commons system (see below). The main misconception with copyright (and intellectual property in general) is the notion that ‘ideas can be copyrighted’, or that someone who comes up with an idea can automatically prevent anyone else using it or repeating it. Neither of these is true. Even if someone works for you, that person’s ideas are not your property, unless written down or recorded in the process of the job. This is why many design and engineering consultancies require employees to keep notebooks and sketchbooks which are dated and retained by the company. The Creative Commons system is an independent initiative which aims to simplify copyright and improve the ability of both the public and rights-holders to use creative work. You can choose to license your work in a number of different ways and specify what you want others to be able to do with it. As mentioned above, one immediately useful consequence of this is that many hundreds of thousands of photographs are now usable by anyone — for example in brochures or websites — provided the Creative Commons licence is mentioned. If looking for stock photography, try the Flickr Creative Commons search.